As a child in school, Carlos quickly found his passion for drawing. Some of the things that he enjoyed drawing included cartoons, Lowrider Cars, comic book characters and animals. Once Donjuan became a teenager, he discovered his love for graffiti and street art. It was at this time that he immersed himself into the idea of painting and creating, whether it was legal or illegal. Painting graffiti thought Donjuan many of the basic elements of art, which included: line, tone, shape and space. In his last two years of high school, Donjuan worked closely with his art teacher, Filberto Chapa. Mr. Chapa introduced Donjuan to artists such as Rivera, Kahlo, Picasso, Magritte and Kandinsky. Working with Mr. Chapa was the turning point that pushed Donjuan to become a painter and go to college. Carlos studied under Marilyn Jolly at The University of Texas at Arlington. Professor Jolly’s guidance pushed Donjuan to become a stronger more professional painter and soon received his Bachelors of Fine Art. Next he attended The University of Texas at San Antonio where he earned his Masters Degree in Fine Art. Donjuan worked closely with Professor Ken Little, who challenged him conceptually and mentally. Ken Little taught Donjuan how to understand who he was in a more conceptual format that fit the work he was making. DRP: Hola Carlos. Tell me a little bit about where you are from and what you do? CD: I was born in San Luis Potosi Mexico but have lived in Dallas, Texas since I was 3 years old. I am currently a full time professor at U.T.Arlington where I have been teaching drawing and painting for almost 8 years now. When I am not teaching, I’m in my studio painting or and about painting murals. DRP: You have a professional background in painting as well as street and graffiti art but have recently delve into photography to create the series On My Own. How would you describe switching your approach for this work and what elements did you carry over from painting? CD: I have always enjoyed photography and it’s a very important part of my painting research. I always prefer to use my own photos as references for my paintings, so I am constantly documenting my life. My photography was usually only for research and I never put it in the spotlight like my current body of photography work. I feel like moving into more finished photo work came very naturally for me. I did a little bit a planning, but left a little room for the unexpected. That is the way that I prefer to work when I paint. I start with an idea, but then I let the work speak to me and I create a conversation with what I create. In my photo series “On My Own” I made a few masks and costumes, but I had no idea how the photos were going to turn out. I didn’t know who was going to wear the masks and how they were going to interact with the pieces. DRP: What does the role of identity play in your images? CD: Identity is one of the key factors behind my work. Growing up in the US and being born in different country always presented its set of challenges. There were times were I didn’t feel like I belonged anywhere because of people’s criticism. Luckily my parents were always very optimistic, hard working and passionate about making a good life for my two brothers and I. We learned to adapt and figure out how to survive. That idea of survival required us to be a family that wore many masks in order to adjust and persevere. We had our traditional Mexican culture that was mixing with and an American lifestyle. It was the creation of hybrid culture with a new mentality. DRP: Your work has a very vibrant palette. Where do you gather inspiratio for On My Own and other work? Could your culture have anything to do with your choice of colors, forms and textures? CD: Many of my early inspirations, especially in my choice of color palette come from my days as a graffiti artist. I learned at a very young age how to paint very large colorful pieces of graffiti. As I transitioned from graffiti to more studio based art, I found that the same energy that I had in the streets followed me into the studio. When I studied painting in college, I was really pushed to develop my work conceptually. Because identity was always an important element in life, I decided that I needed to know more about myself. In my research I became fascinated with other cultures and how much they related to one another. My inspiration shifted from just Mexican Culture to other Latino Cultures, Native American Culture, African Culture, etc. I also started to look at how other artists dealt with similar concepts. This is where most of my inspiration came from. DRP: Tell me about the zine you made out of this series. 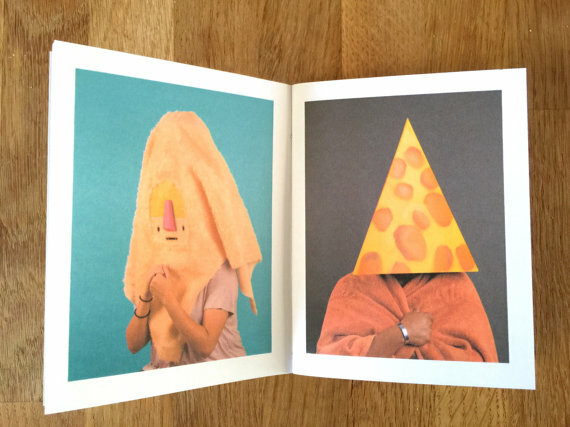 Are zines something you think you will begin to frequent with your work? 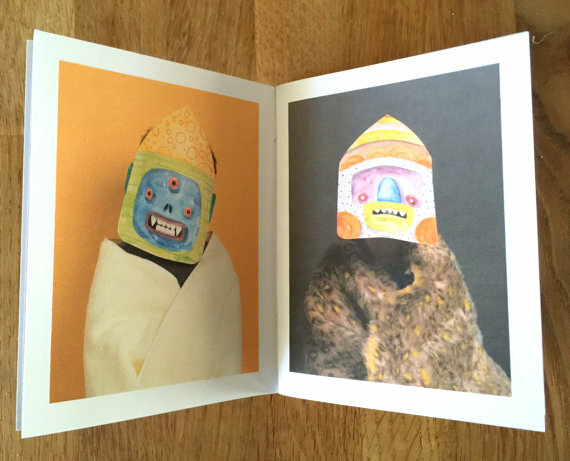 CD: I have made zines in the past that consist of drawings and paintings of mine. When I made the photo zine, I really wanted to see all of the photos together. Once the the little book was done, I was really happy with the end product. Making zines has always been a way for me to share work with others that still enjoy the idea of print. I am true believer in creating a dialogue with my audience and this is one way for me to do that in way that is easy and affordable. DRP: Do you have any projects/shows or activities coming up? CD: Most of my time lately has been spent painting, but I do plan on more photography work as well. My first body of photo works was very well received and that has really been encouraging. This year I'm having a large show at Kirk Hopper Fine Art in Dallas in November. I have been really focused on that right now because I found a new sense of motivation that I am really trying to explore.